"“This park was created to be the people’s park, to be a generational space that people come back to. 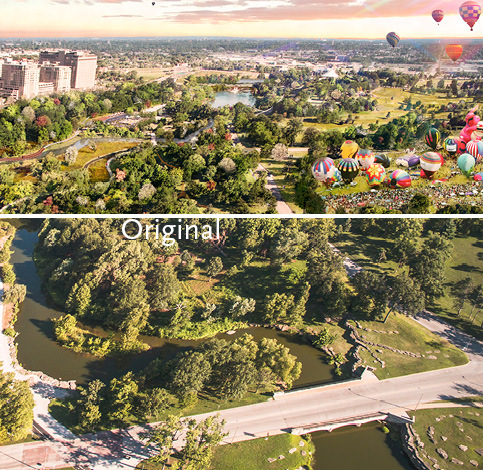 If you think about how the world has changed in the last 140 years, and how the community has changed around this parks, it’s continued to evolve. 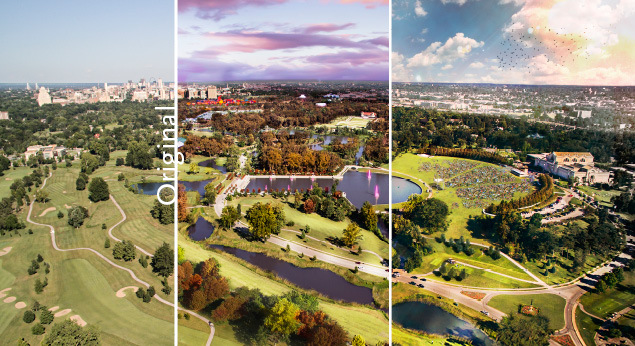 This park will always be the center of St. Louis and will always be the place where people want to come for events, big and small.”"
1,300 acres of beauty and cultural institutions are enhanced in a series of renderings that Forest Park Forever will use in its campaign. Key locations within the park were identified as part of this campaign for future future capital restoration projects. 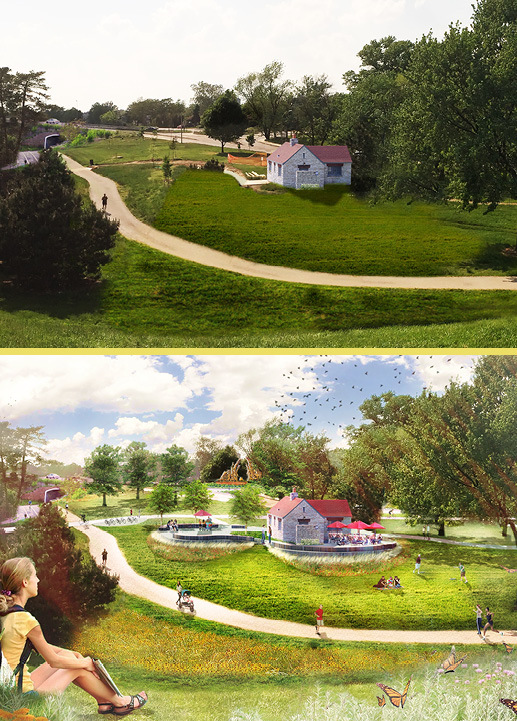 The campaign will maintain the park and its vibrancy. 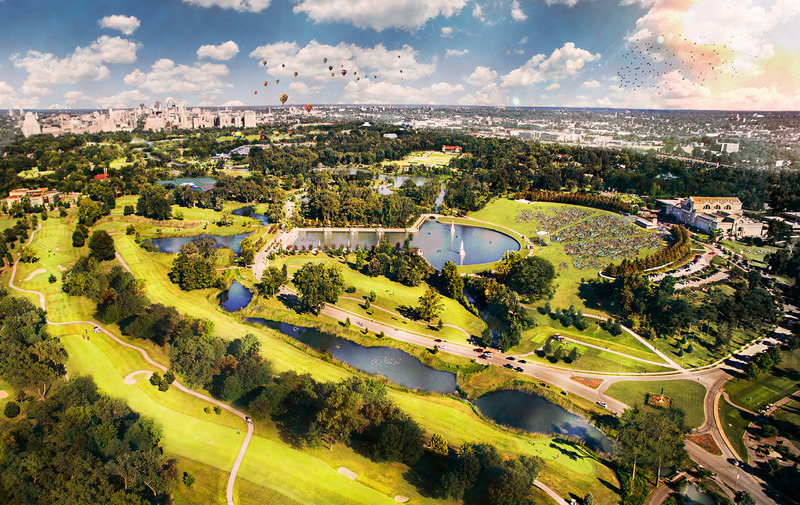 Public and private investment ensures that the legacy of Forest Park will continue. 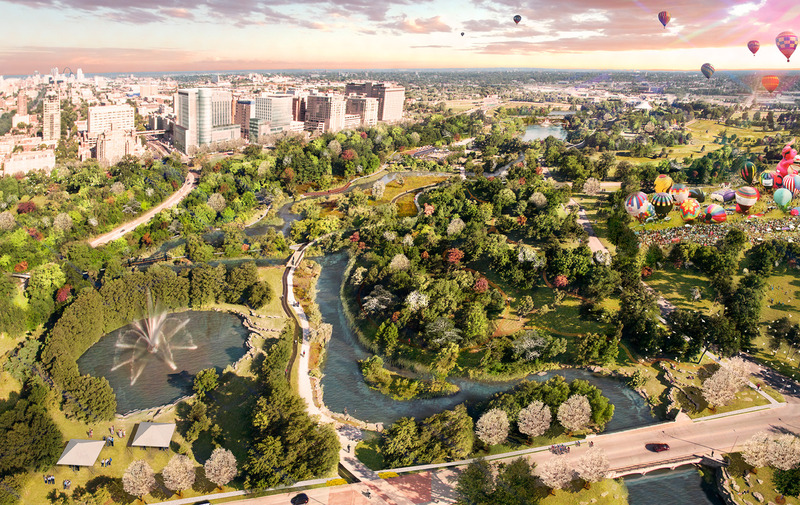 The "Forever Campaign" addresses waterways, new recreation opportunities, basic infrastructure improvements, and major event spaces. 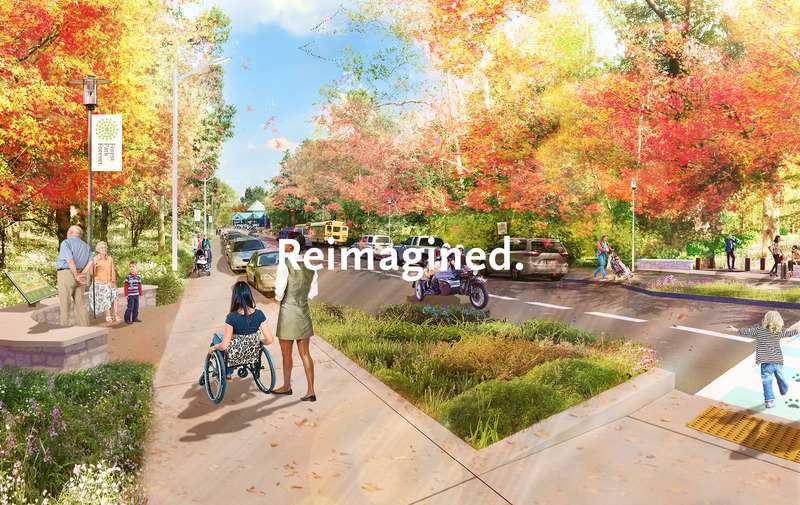 The "Forever Campaign" will maintain the beauty and vibrancy of Forest Park through continued investment. 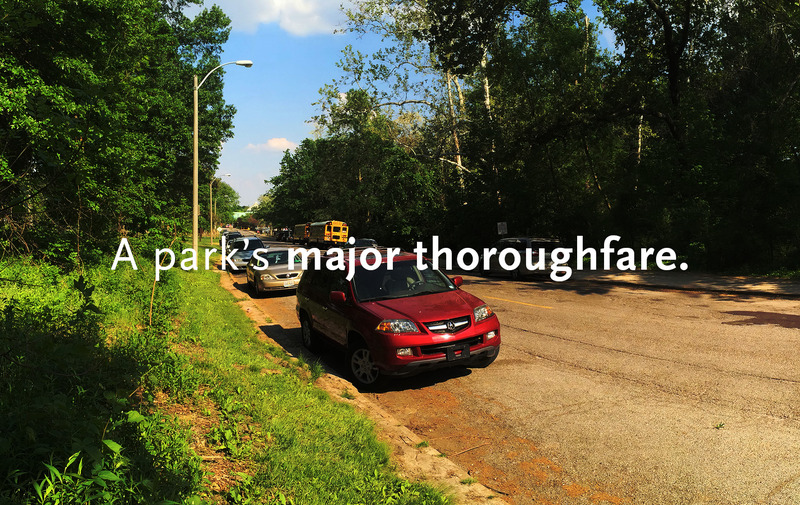 Forest Park sits within the heart of the City of St. Louis and has continued to evolve over the past 140 years. The park is iconic to St. Louis, with memories created each and every day by the 13 million people who visit the park each year. Its is home to many of the city’s major cultural institutions. occur over the next several decades. 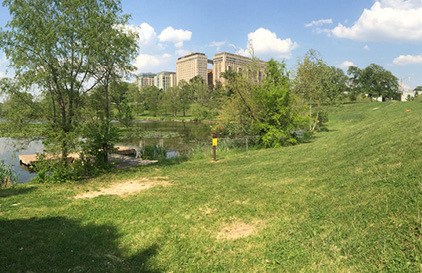 The park is available and open to all walks of life. 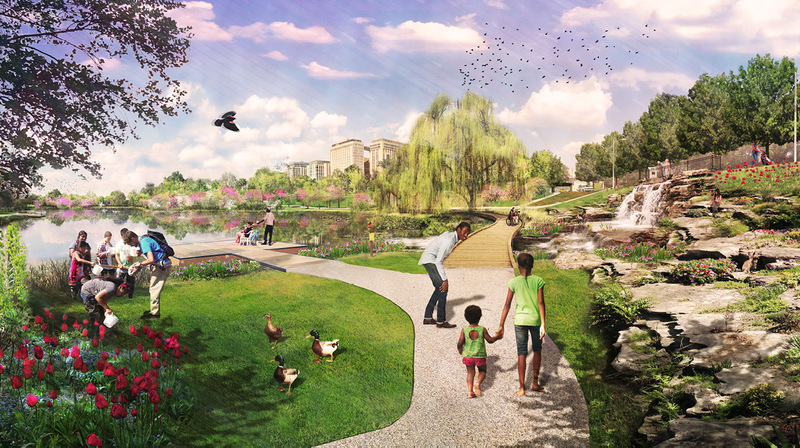 The “Forever Campaign” will ensure that Forest Park remains the center of the St. Louis community. 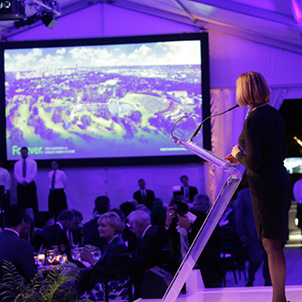 "“Any one that is involved with this park, regardless of financial or time commitment, feels a sense of pride for the city of St. Louis.  The “Forever Campaign” is a way for all of us to demonstrate that pride and ensure that this asset continues to live on in perpetuity.”"